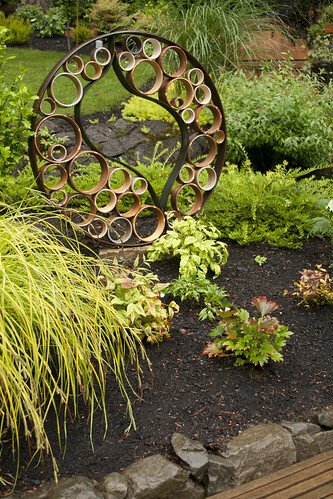 Rhone Street Gardens: 2011 ANLD Garden Tour! 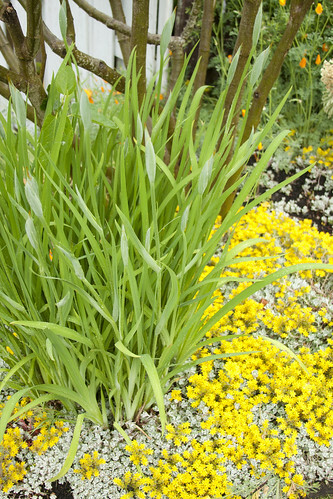 Last weekend a friend and I attended the 2011 ANLD (Association of Northwest Landscape Designers) Behind-the-Scenes Garden Tour. I had never even heard of this tour until Loree over at Danger Garden posted about it a few weeks ago. I guiltily admit to mild voyeuristic tendencies regarding other people's gardens...so I wasn't about to pass this up! 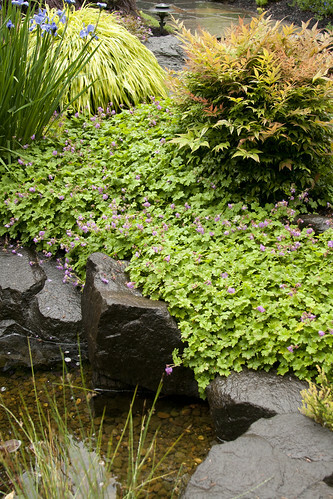 The tour was comprised of 8 gardens scattered throughout the Portland metro area. 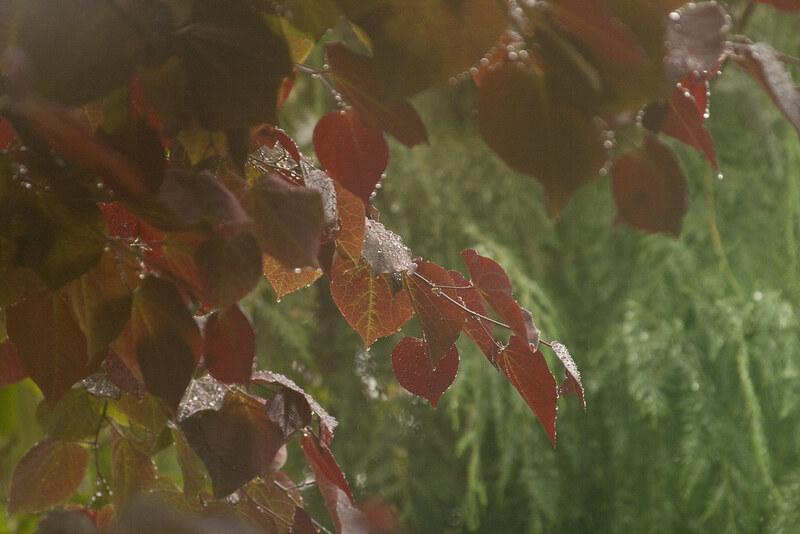 Sadly, it was so humid and wet outside, that my camera continuously fogged up...especially on wide shots...so there is a paucity of images, unfortunately. The first garden we visited was located in NE Portland...out past 82nd. The above photo is my favorite spot in their garden (and maybe my favorite spot of all the gardens we visited). I was instantly in love with the simple, graceful, curving gravel path. 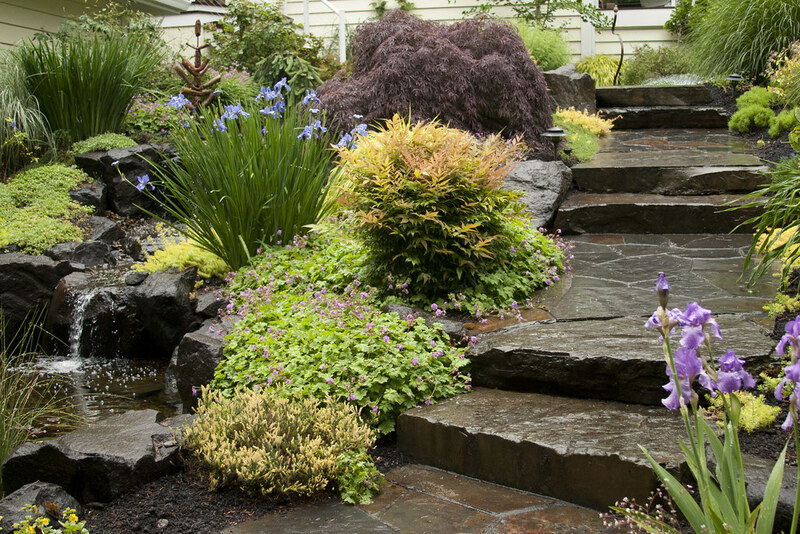 I love it when the hardscape doesn't compete with the plants...because the plants were clearly the star of the show. Big, beautiful, lush foliage lined the path. 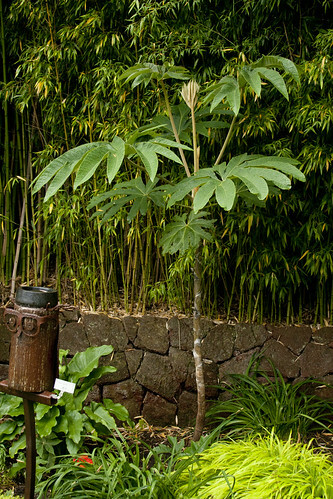 The giant plant at the front is (I believe, forgive me if I'm wrong), a Farfugium. 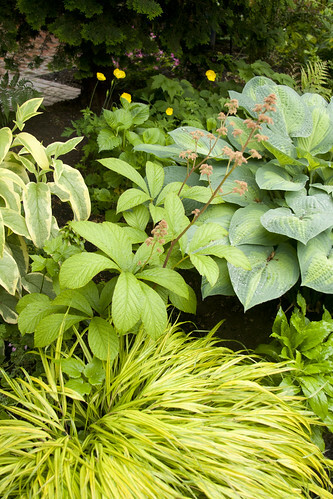 I love how they've contrasted the foliage textures, using hakonechloa as a foil to the larger foliage of Hostas, Ferns and Gunnera. 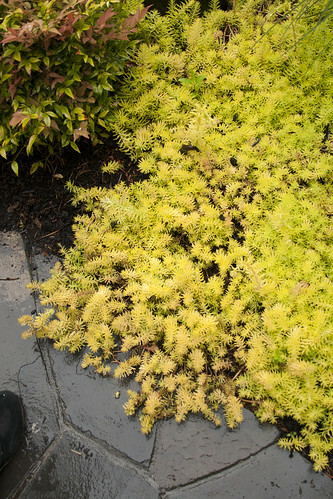 I love the bright green groundcover (might have been a type of moss...can't remember). 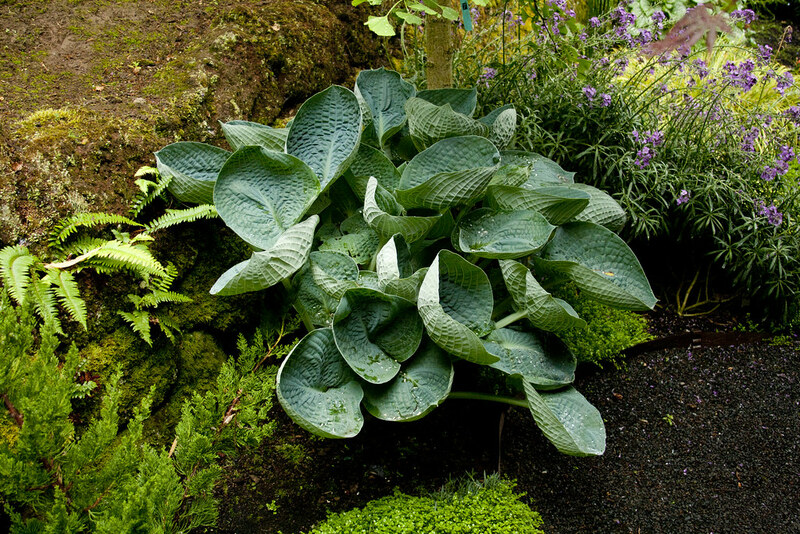 Here's one of the wonderful blue Hostas...love the crinkly leaves. Behind it is and Eyrsimum...which I didn't realize would tolerate so much shade. 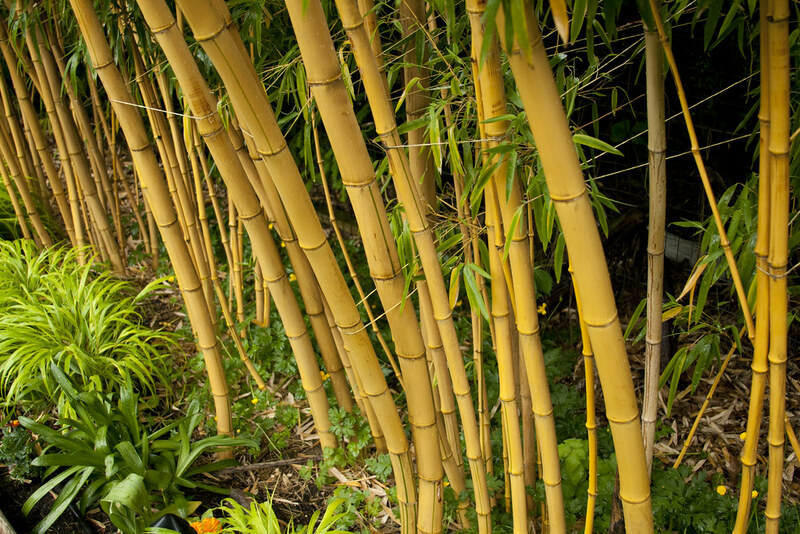 The backyard had a great stand of this yellow-stemmed bamboo. I didn't realize at first that almost every stem is held in place with twine. It always makes me feel better about having to stake and corral my plants when I see others doing the same! This vigorous vine covers a seating area...I don't know what it was (should have asked) but I love how it looks from beneath...the light filtering through the leaves was so lovely. 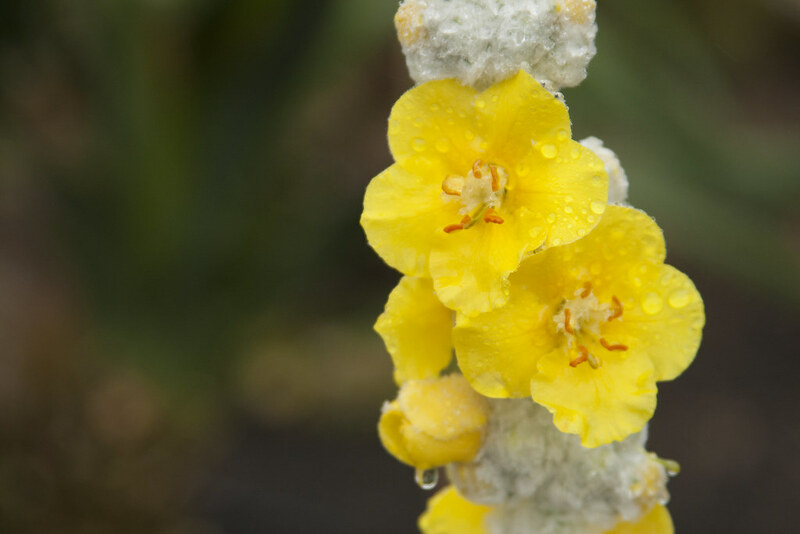 Don't you love Verbascum...I really need to remember to save some space for these when I do my "micro-prairie" in the parking strip someday. 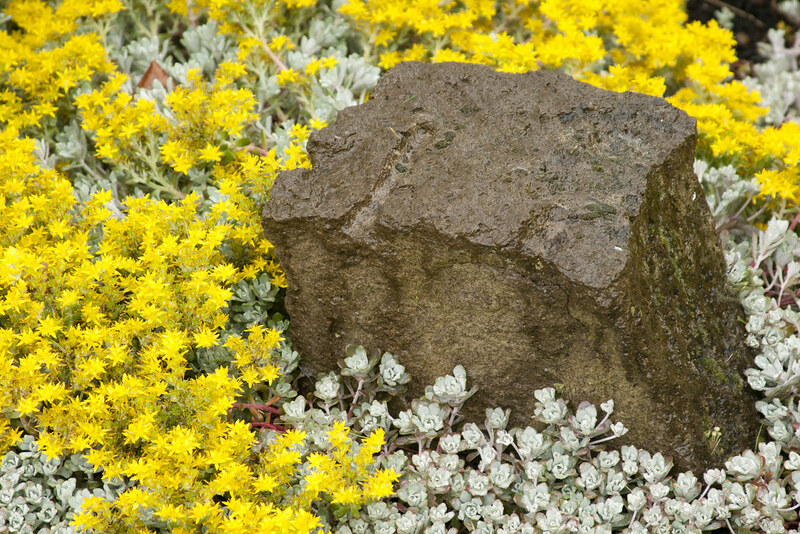 I really, really like their front garden area...it was covered in gravel, accented with rock and had lots of interesting textures and colors. Strangely, it looked like many of the plants were JUST planted, perhaps last winter was harsher than I remember. For some reason, many of the gardens we looked at seemed to have A LOT of extra space between plants...I guess those plants have quite a bit of growing to do...or the owners just love the look of their mulch/gravel. 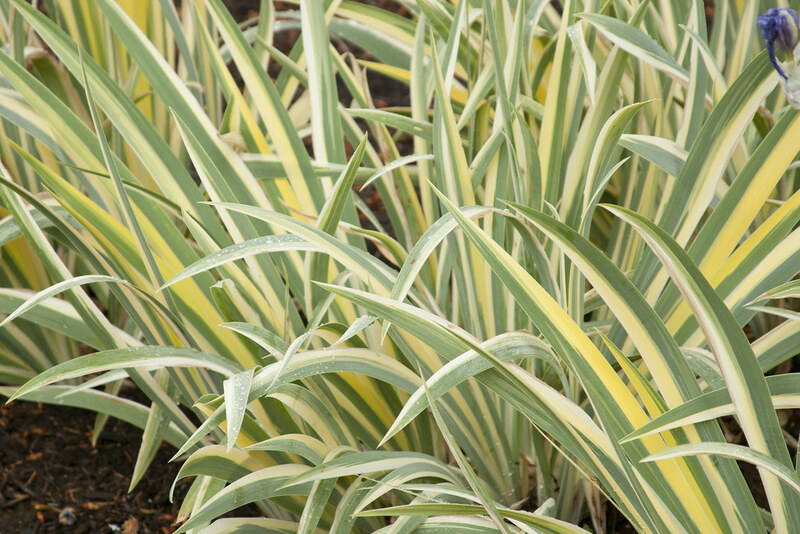 Then again, I am horribly guilty of "crowdscaping" my plants! 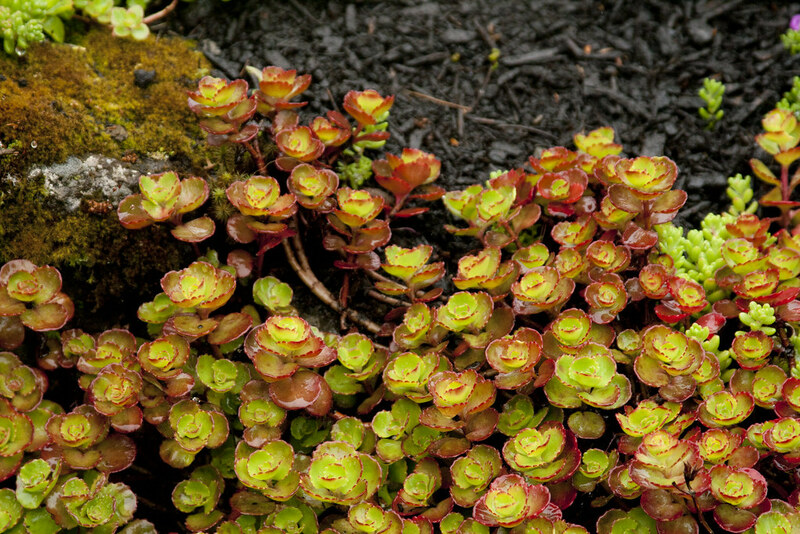 Sedums & rocks...go together like peas & carrots. 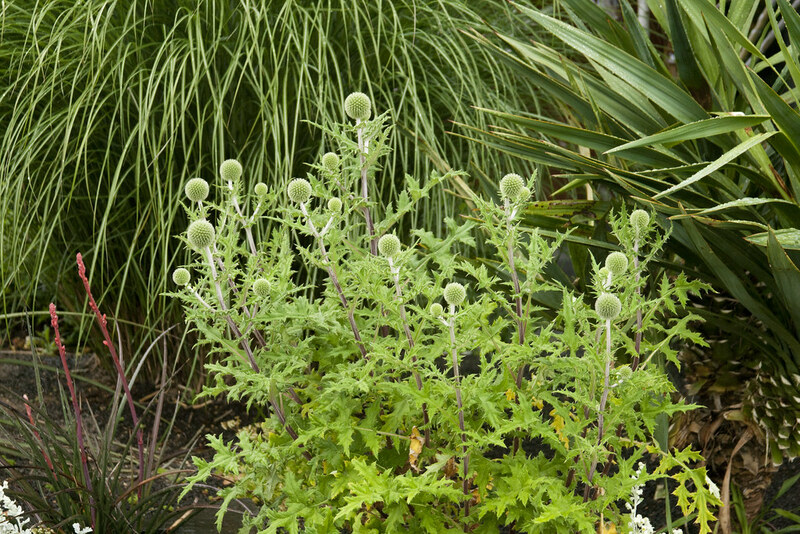 I "heart" Echinops...these are MUCH further along than mine...and has red stems...ME WANT! The next garden was just off 33rd & Fremont in NE Portland, one of my favorite areas of town for it's beautiful homes and lovely gardens. The front yard is quite large, being very deep...while the backyard, which is accessed by a narrow walkway, is quite small (almost as small as my backyard)! 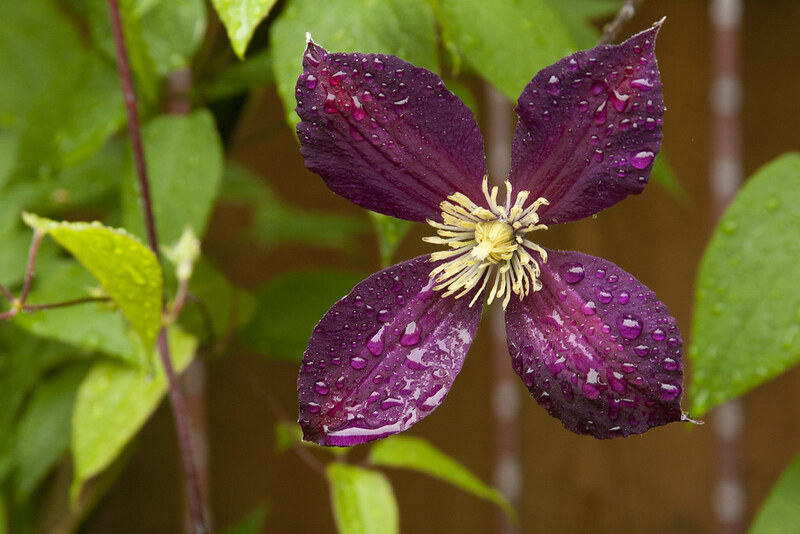 There were some lovely Clematis planted throughout the garden, my fave was this deep purple one. While the rain may have made for a slightly uncomfortable viewing experience for us, the plants were loving it. 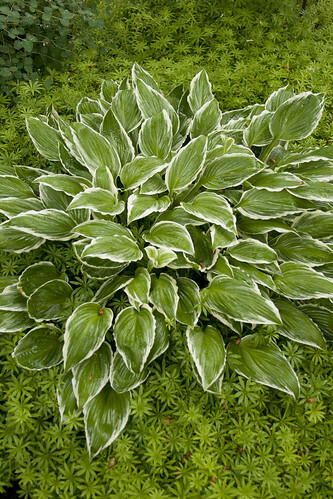 I swear this Hosta was at every house we toured! 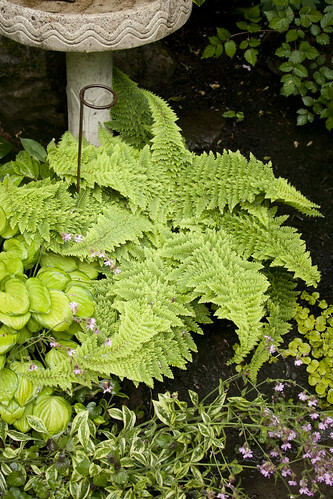 Love the spiraly form of this fern. 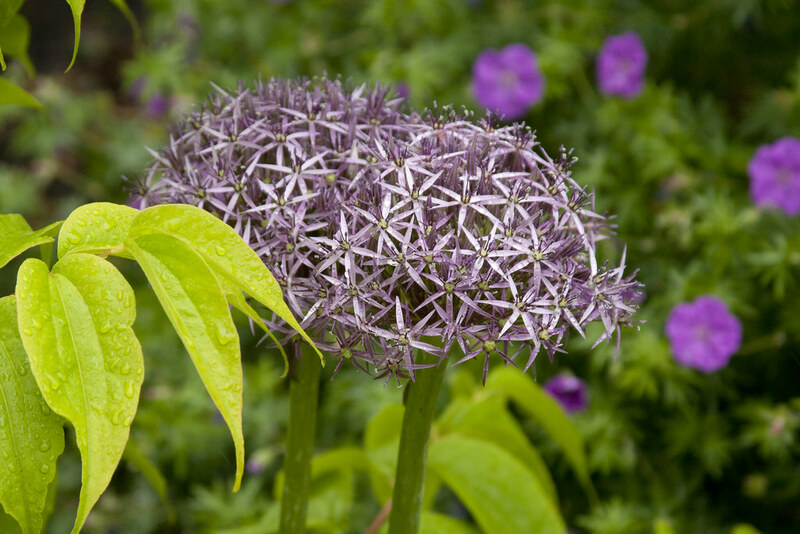 I have to remember to find this Allium this fall...is it 'Star of Persia', perhaps? My favorite thing at this garden was actually at the garden next door. 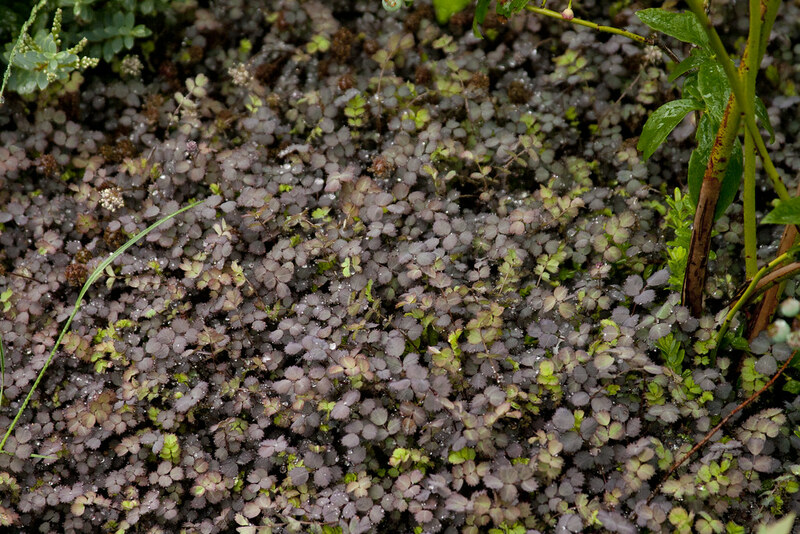 I've been thinking of getting some of this plant, Acaena inermis ‘Purpurea’ (New Zealand Burr), for a colorful groundcover in my own garden. Hmmmm...can I commit to such a short plant...only time will tell. Ok, in spite of it's silly name, this was, far and away, my favorite of the gardens, the reason for which I'll explain at the end of this post. Let's just say that it was full of awesome plants that were put together in great combinations. 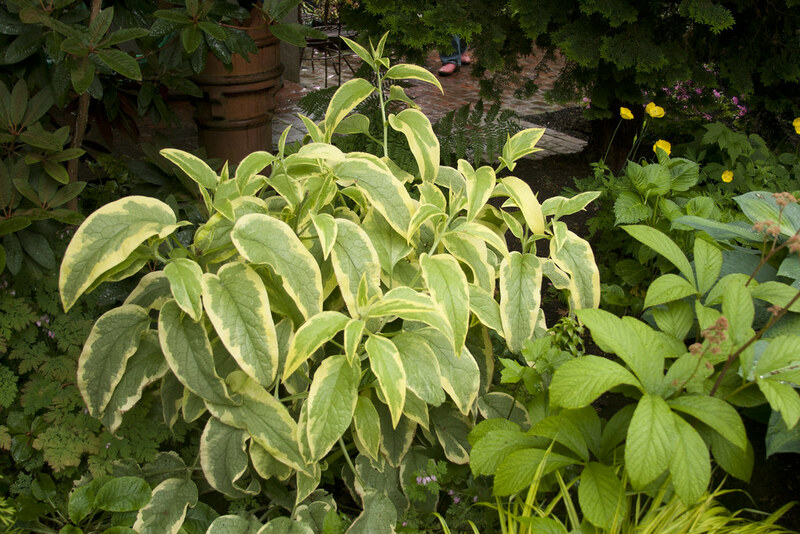 Above is, I believe, Comfrey. Ok...staking fears be damned! 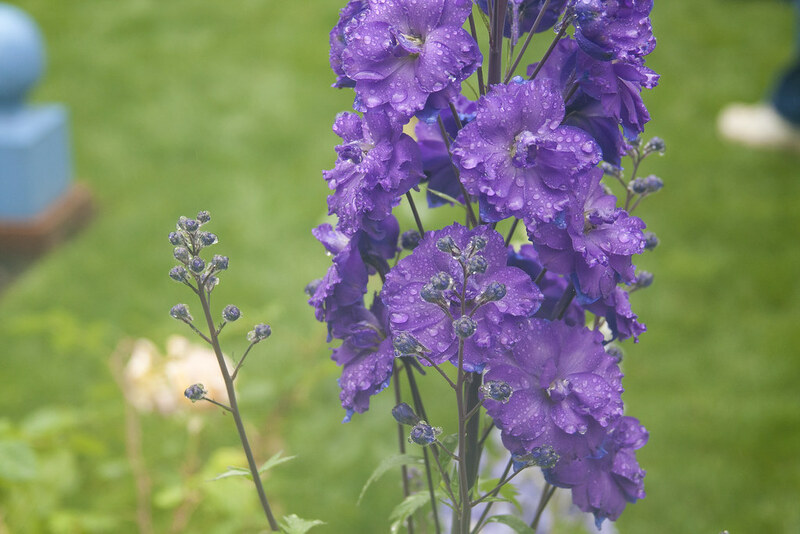 I'm going to have Delphiniums next year! 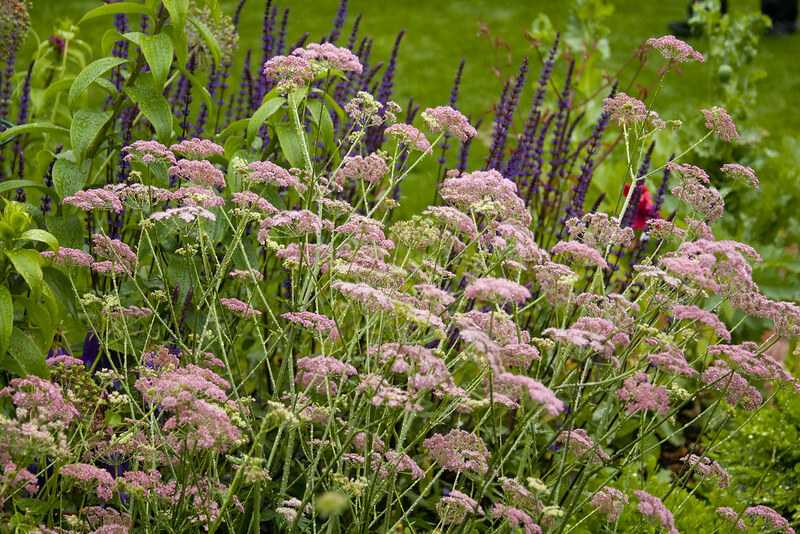 I'm totally smitten with Pimpinella major...so graceful...and so useful in combination with other plants...love it here, backed by the sumptuous purple spears of Salvia 'Caradonna'. The plant many gardeners were searching for the day after the tour, Cirsium rivulare. 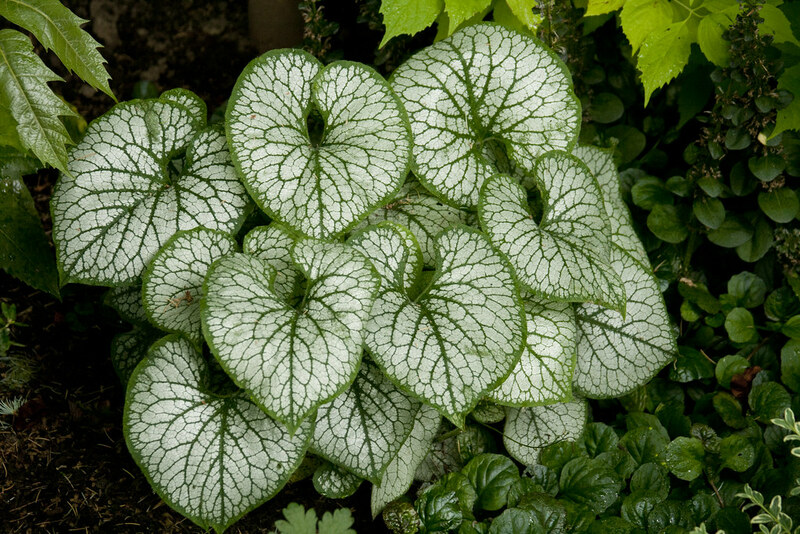 I've been looking for this one all spring after seeing it in Gardens Illustrated last fall...someday, you will be mine! This variety, apparently, was given to the gardener by Dan Hinkley. 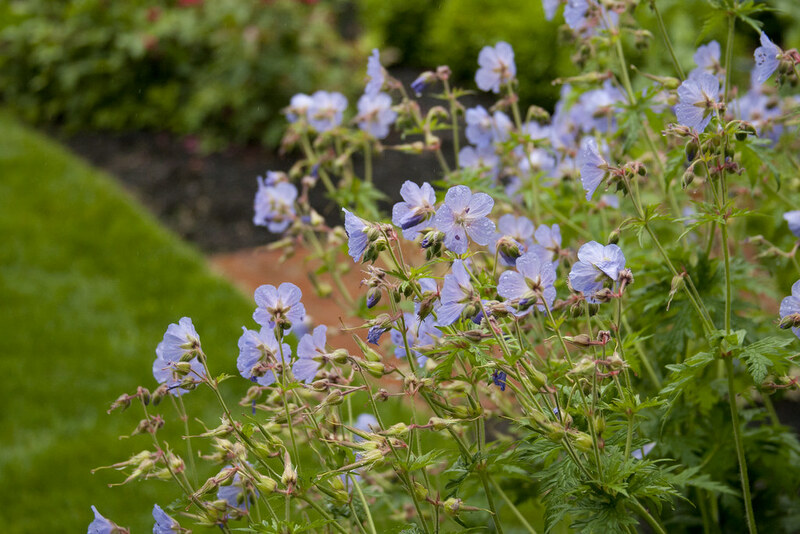 A lovely sky-blue Geranium I failed to get the name of. 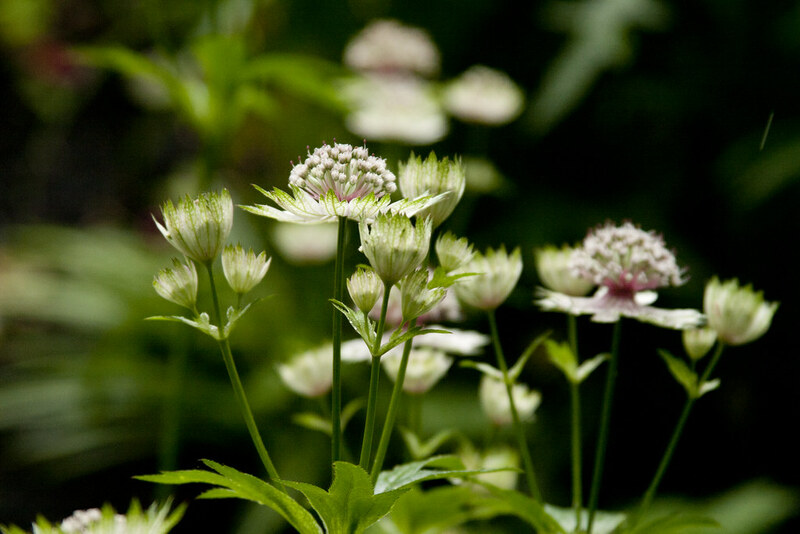 Beautiful, sophisticated, Astrantia major were scattered throughout the garden. I couldn't help by be jealous that their Amsonia was much bigger than mine. 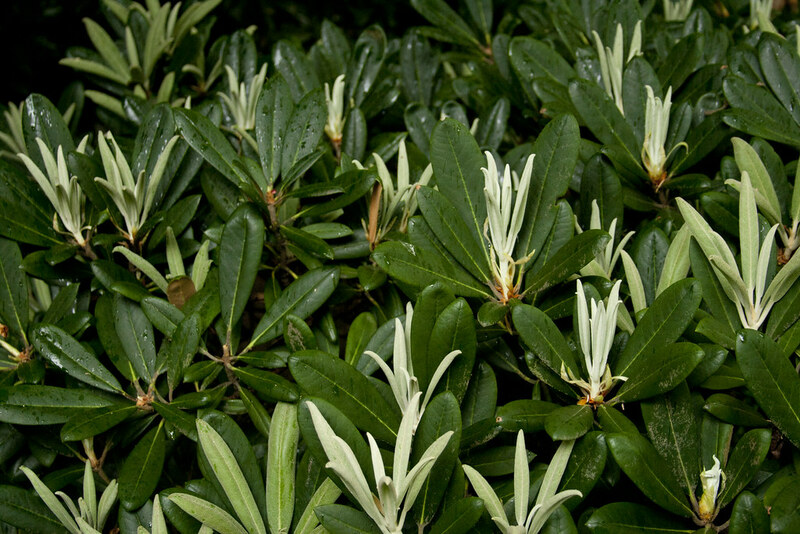 Normally, I don't think I would even have given this shrub a second glance...but the silver new growth deserved a third glance as well. Brunner foliage never fails to please. The Hardimans' dog was super friendly, but even it had to take shelter from the downpour after a while. 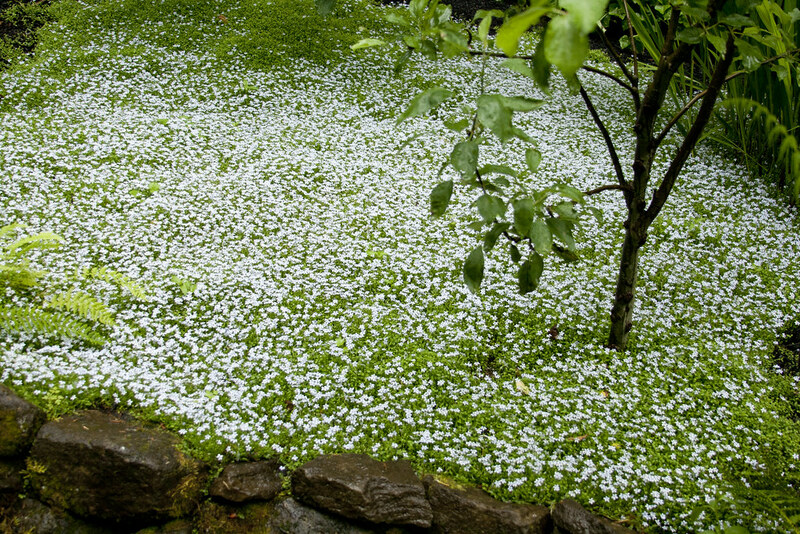 This garden was in the West Hills of SW Portland on Old Orchard Rd. It was on a crazy-steep slope (making even mine look like the plains of Nebraska in comparison). The most notable thing in this garden was definitely the hardscaping...lots of paths and terraces to make the slope traversable (and stable). I definitely liked the variety of sedums and succulents the owners had planted on the steep rock wall in front of their house. 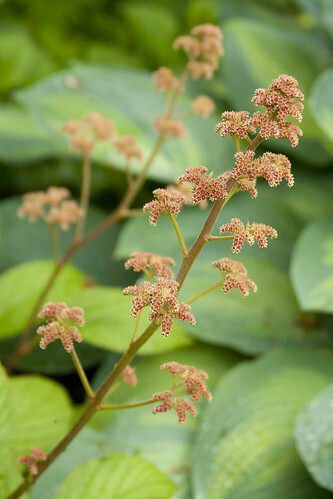 The garden had quite a few of these Hydrangeas...which were lovely in their pre-blooming blush. This garden was really all about the hardscaping...the paths, walls and fountains...even a bioswale and a henhouse. This is also the home of the designers above. You could tell they had put a lot of work and thought into every inch of the property. Unfortunately, my camera utterly refused to take any decent pictures...being very soggy and cranky at this point. 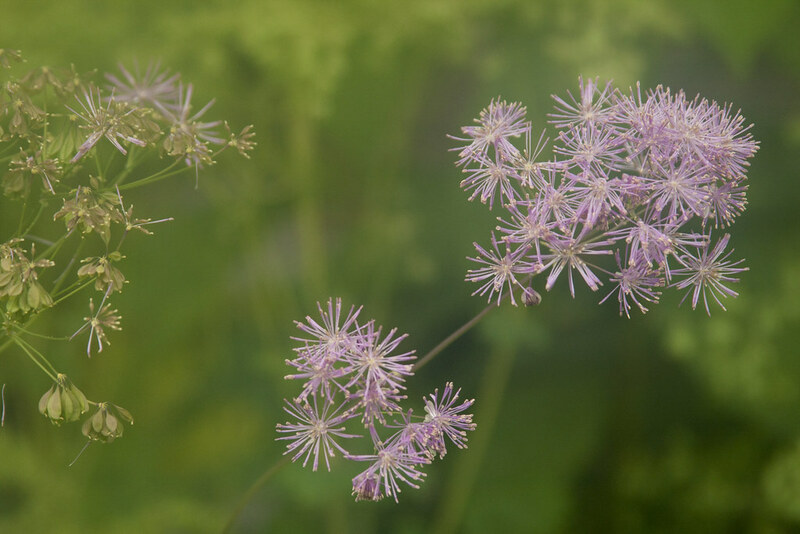 Ahh...foggy camera...Thalictrim (Meadow Rue) gets it's moment in the mist. Looking through all these hazy photos was a bit like watching just the Cybil Shepherd portions of Moonlighting. 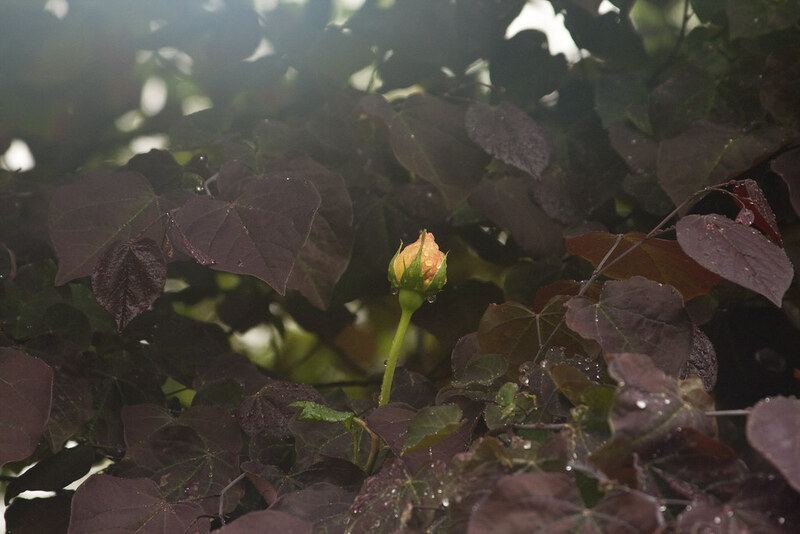 Is that a rose peering out through the Cercis...it may be a case for Blue Moon Detective Agency. Ms. Depesto would never let her camera get this foggy...sorry little Cercis. Are you still with me? If you make it through all my self-indulgent 80's TV show references, congratulations! Anyway...on to the next garden, which took us all the way to the terrifying wilderness that is Lake Oswego (that is, if like me, you are terrified by the idea of shopping at Banana Republic). This first garden had quite a few mature trees surrounding it, which gave them some nice shade. 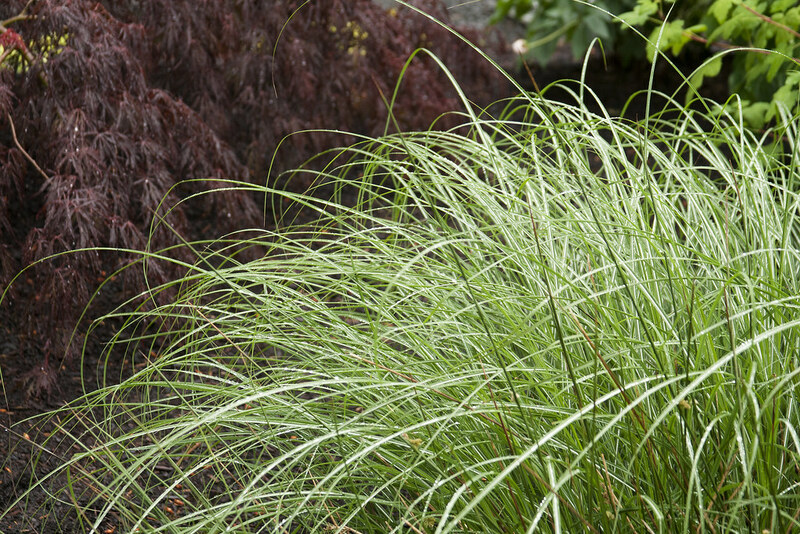 They had a really nice rain garden full of lush, beautiful grasses (pictured above). 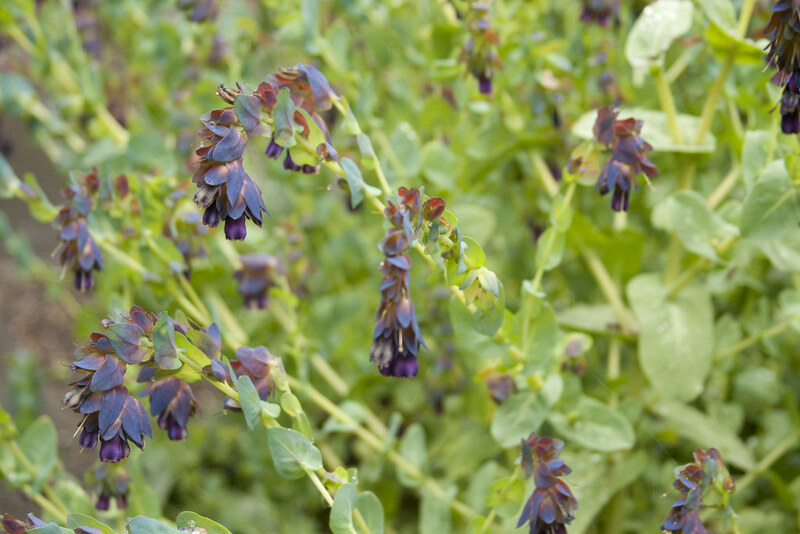 The first bloom on a Baptisia, from the bloom, I'm guessing 'Twilite Prairie Blues'. 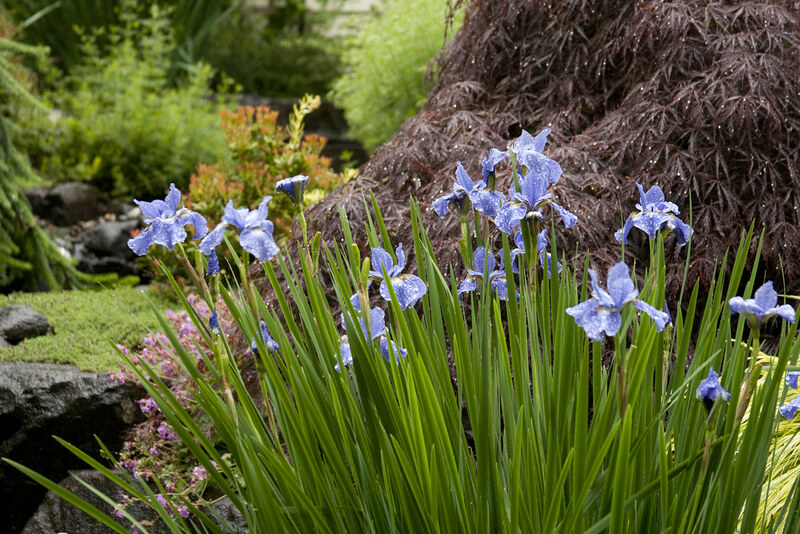 I really liked the foliage on this Iris, but the blooms actually detracted from the foliage. Note to self...buy this iris...and cut off the flowers to enjoy inside. The next garden in L.O. was this one...and while I can definitely appreciate the improvement this is over what they had originally...I just can't get over the fact that 90% of the space in this "garden" is a pool...sigh. The last garden on the tour! Are you as exhausted as I am!?! 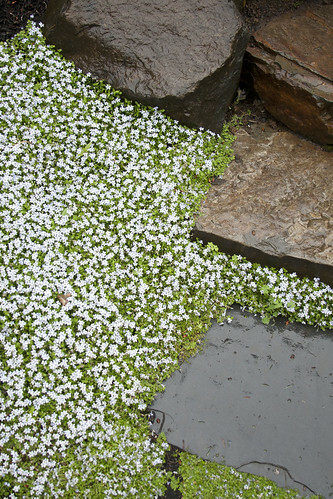 The first thing I noticed at this garden was on the driveway up to the garden itself...these lovely, large patches of Thyme...truly lovely. A lovely Iris beside the waterfall. As you can see, this is another garden where the hardscape was king. To be honest, the stonework was pretty impressive...but again, totally overwhelmed the plantings. There was a fireplace...a veranda, a hot tub...it was just a bit too much...I wanted to see plants! That brings me to a realization I came to during this tour. These were (for the most part) "landscapes", designed by someone who was paid by homeowners, not "gardens", designed and lovingly (sometimes obsessively) maintained by gardeners. 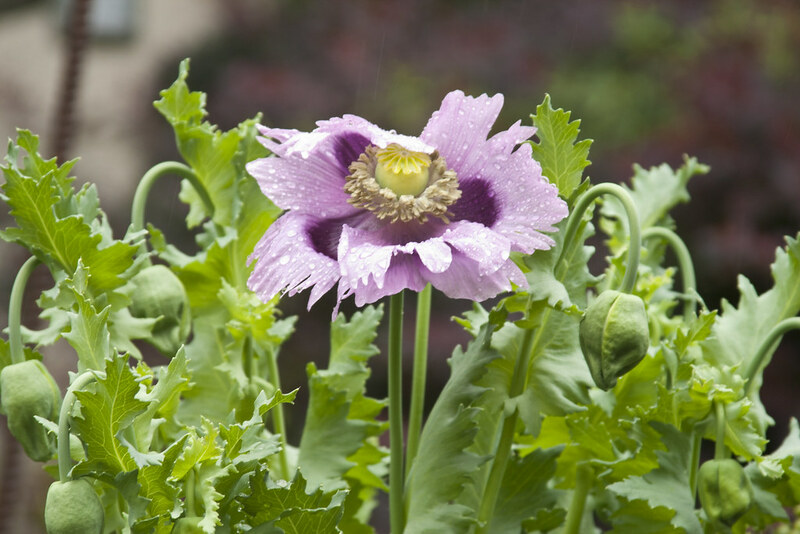 I guess I really prefer the simple, honest garden...with all it's pitfalls and warts. After all, without those blemishes, how can you really appreciate those glorious moments...even when they might only last a few days, when everything you've worked and planned for, suddenly comes together and you can stand back and say, "Damn, I'm good...wait, when did that die?!?" Even when your camera malfunctions, you take better pictures than I do! Looks like an interesting tour, but it seems like your insight about it is bang-on. 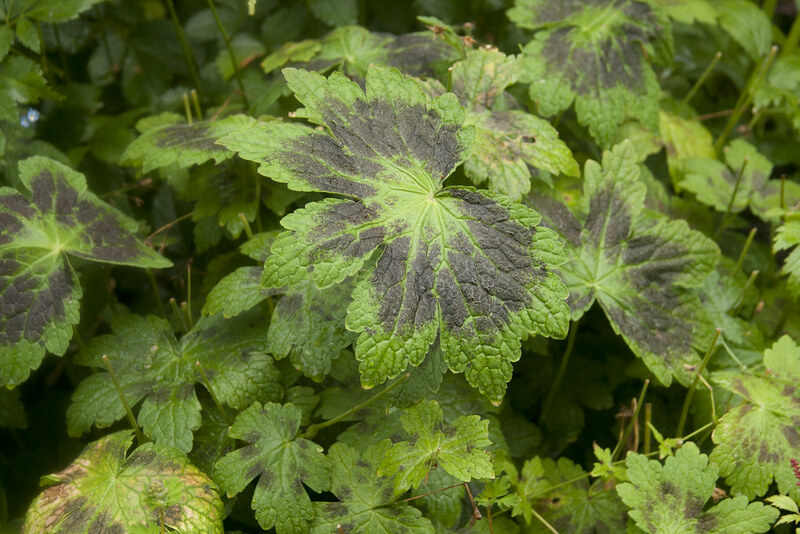 I'm going on a couple of tours this coming weekend, and I'm hoping they are gardener's gardens, not landscaper's gardens. You got some wonderful pictures, though, seriously, even the foggy ones. And I am now suffering from major abutilon lust, and it's all your fault. That shot of the Hardiman's dog is awesome! 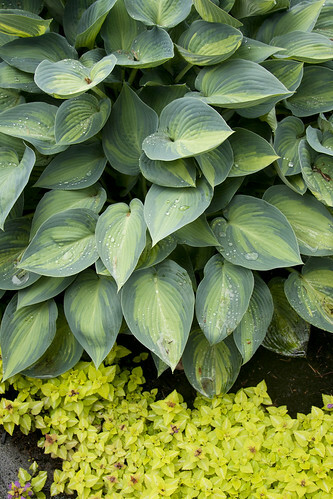 These are remarkable photographs of some outstanding plants. Wish I could have been there! Thoroughly enjoyed it! I love garden tours. Thanks for the tours. Beautiful gardens there and some really cool plants also. Really enjoyed the tour and loved the dog. Thanks for this wonderful post! 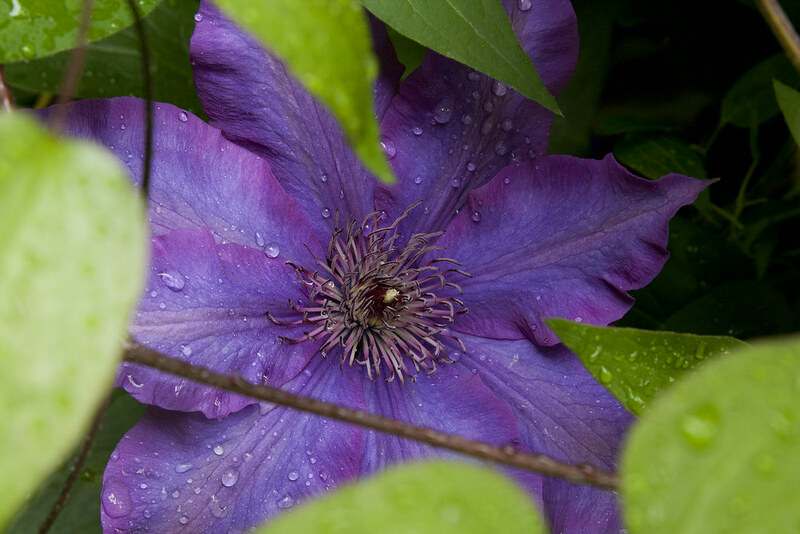 The gardens look great and your photography is superb! 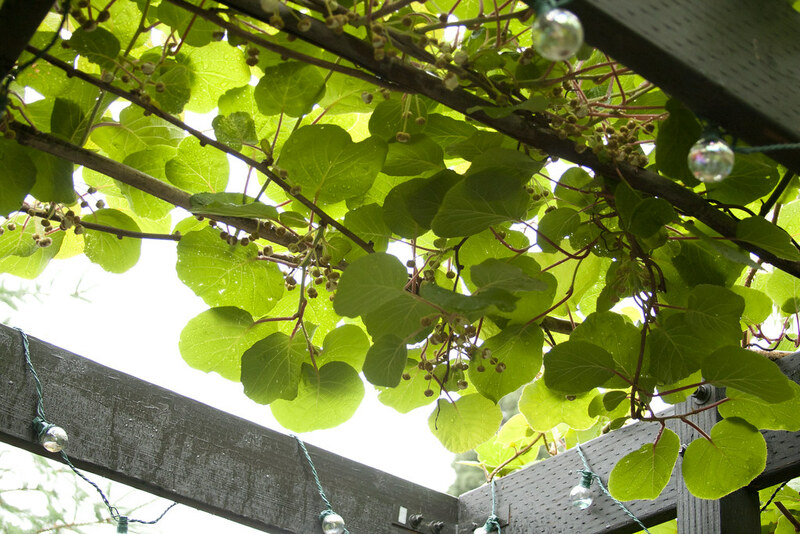 That mystery vine looks like it is a Kiwi vine (Actinidia deliciosa)that is just about to flower. Thanks for the great tour. Even if they were for the most part professionally designed, they looked great. I'm sorry you suffer from Amsonia envy, but you should be proud of your horticultural voyeurism, I'm proud of mine. Thank you so much for taking us along on the tour. Very interesting! 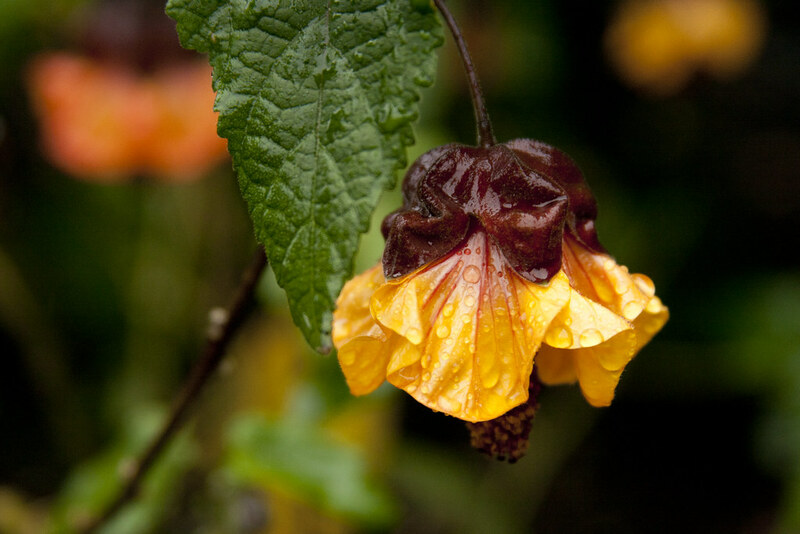 I love your shot of the Abutilon. Truly enjoy your photography, and your tasteful and interesting comments, especially your last paragraph. Love seeing the tour through your (foggy) eyes! I wish you could have seen the spectacle that occurred when Kym Pokorny (garden writer from the Oregonian) walked into the Hardimans garden during the pre-tour. Evidently their dog is quite fond of Kym as he ran over and attacked her, they ended up on the ground and a sort of wrestling match ensued. It was hilarious. Oh and I used to grow that Iris and did exactly what you mentioned, cut off the offending flowers...just like I do with my Hosta! This has been a great 'virtual' garden tour, Scott. Thanks for all the work that went into posting this. I'm going on my first garden tour this weekend, and am very excited about it. What lovely gardens. Thanks for the tour. I agree. 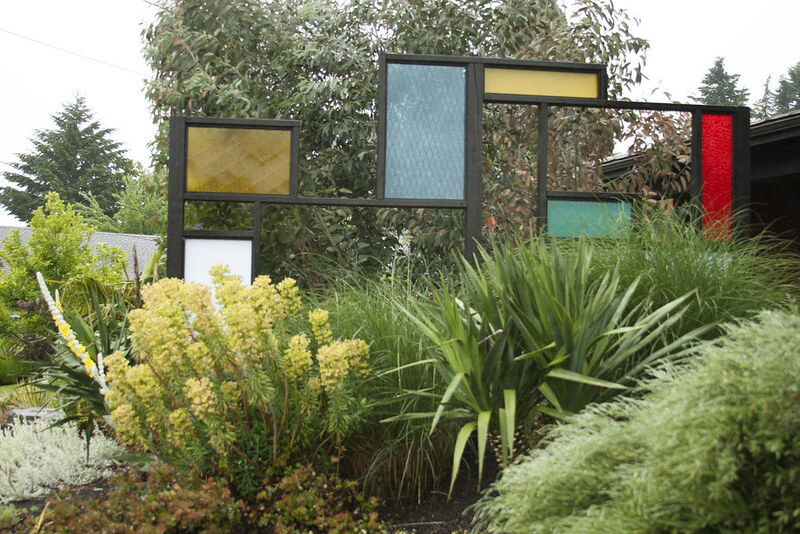 A tour given by landscape designers is much different than a tour given by a gardening group. Enjoyed the pictures. I am loving the garden in pic #1. I can't believe you mentioned Ms. Depesto! 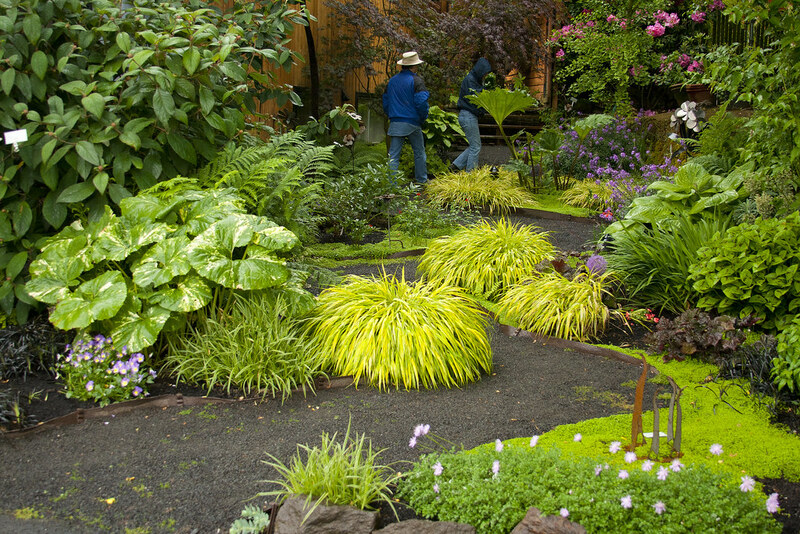 Sometimes garden tours are great for helping bring to focus what it is we don't like -- and that's a useful lesson too. No offense to pool owners, but that's a tough feature to integrate. 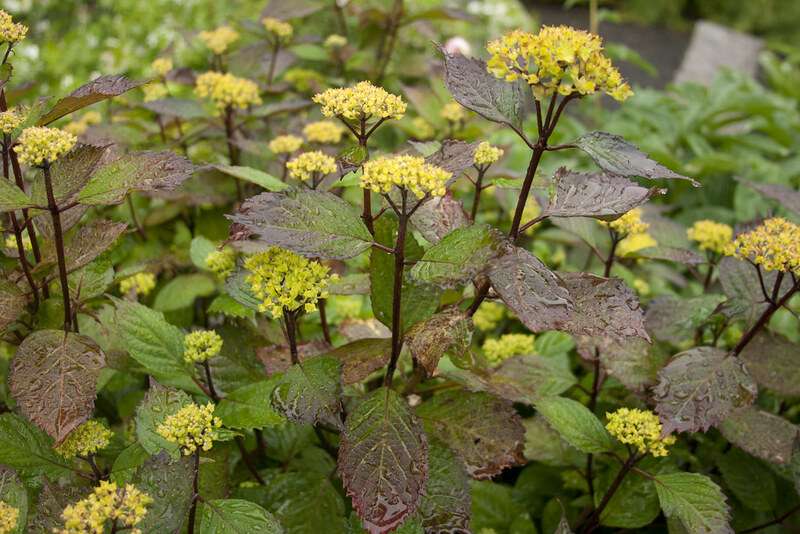 Looks like lots of wonderful incidents in these garden and some great plants. The cirsium apparently cannot be started from seed, dammit! Beautiful photos, Scott. I know what you mean about wanting to see plants not a bunch of bare dirt or mulch or hardscape. Still there ideas to glean. 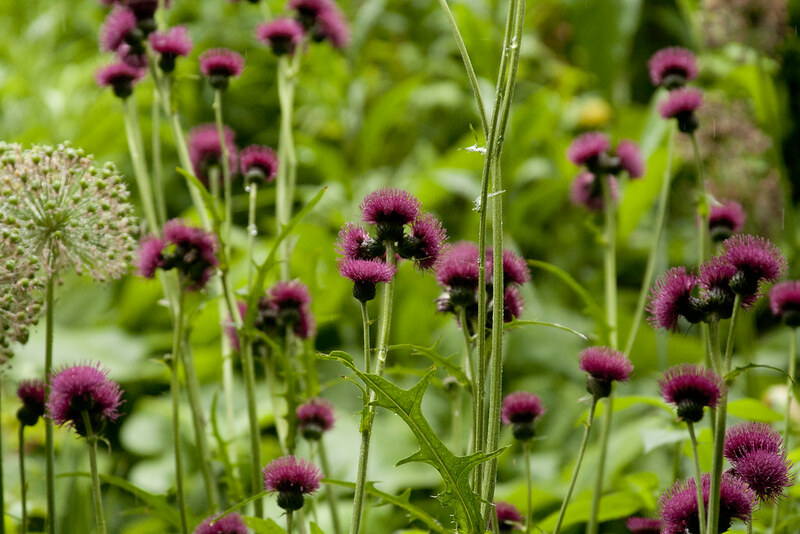 Cirsium rivale seed is available from Thompson & Morgan. It's easy to grow but my plants died anyway. 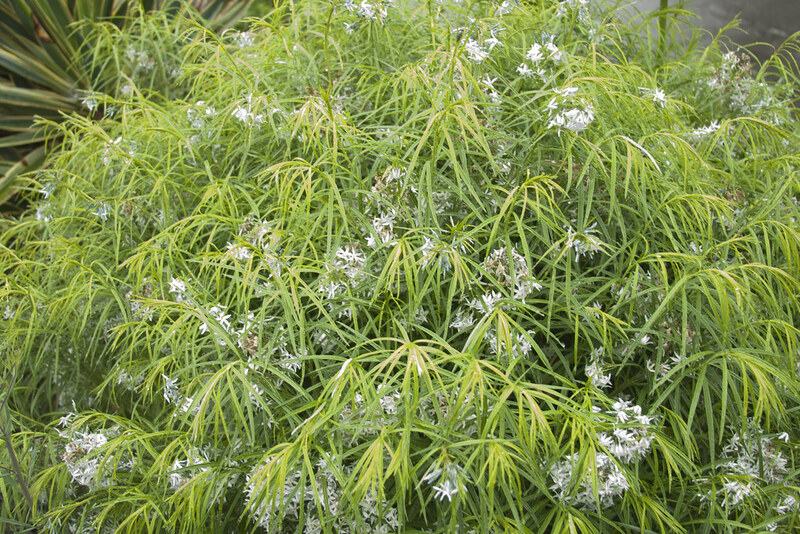 I love Pimpinella too. I hope mine will put out more than one flower stalk. :( Sorry the weather was so crummy. Thanks for sharing such amazing photos. Wow! Beautiful gardens and photography. Thank you for sharing the tour! 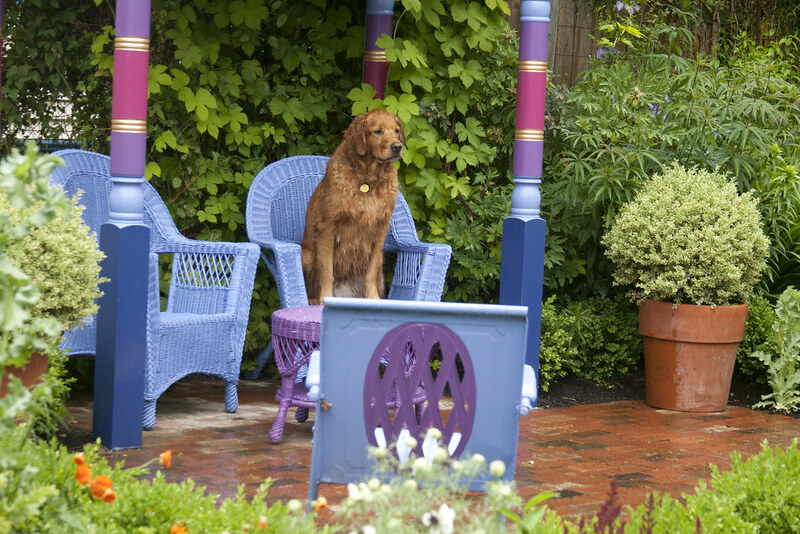 This has been one of the few armchair garden tours that can be described as memorable. Thank you for the journey. Great tour. I have never seen gardens like these. 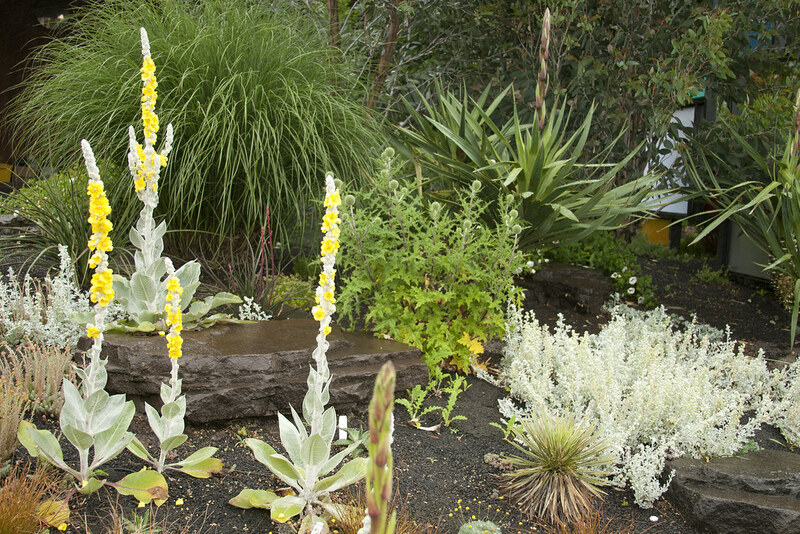 The first photo looks like an other worldly garden you would see on original Star Trek series. Wow, these places were fancier than the gardens I visited on the 2 tours I went on! I enjoyed seeing all the huge plants and beautiful foliage. Still, like you, I prefer a garden planned, maybe by placing the plants around, planted, and maintained by the gardener who has a relationship with the plants in the garden. Scott, I think you should create some garden calenders to sell. You really have a gift for photography. Alison: Ahhh...thanks! I hope you had a good time at your tours too! Houston Garden Girl: hahahaha...isn't that dog adorable! Phillip: Thanks...me too...so much fun! Sunray Gardening: Thanks...it was fun! College Gardener: Thanks for the plant ID...I actually wondered if it might be a Kiwi...but was totally not sure!!! Sweetbay: Thanks, glad you enjoyed it! Loree: Hahahaha...so foggy! OMG...I wish I'd seen that...she was on her best behavior while we were there :-) That makes me feel better about the Iris (and Hosta...I'm cutting those puppies off this weekend), I always feel like a curmudgeon when I snip flowers off...but sometime they just seem to fight they rest of the plant. Diane: Thanks...it was quite a slog to get through all those pics! I hope you post about your tour too! Denise: hahahaha...once a Moonlighting geek, always a Moonlighting geek ;-) Pools are one of the things that are VERY hard to pull off well...yeah, that Cirsium just wants to tease us! Grace: Thanks for the heads-up on T&M for the Cirsium...will have to look them up! 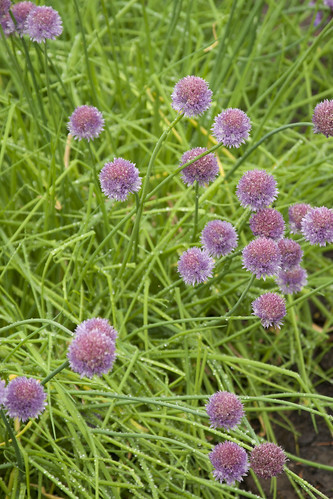 Hahahaha...yeah, my Pimpinella is just a small little start compared to that huge clump...but I'm really loving it too! Jenni: I'm totally going to do it...you'll see!!! Compost: I will do my best! Landscape Design by Lee: Absolutely...my pleasure! Bluestem: hahaha...I know, that what a big checkbook gets you, I guess! Corner Garden Sue: They were pretty wealthy clients, I believe...far fancier than anything I'll ever put together! Calendars...that's a good idea...I'll have to look into that! Hi Scott, A few weeks ago we went on a garden tour in a neighbourhood with million dollar homes. Most of the gardens were professional and were so disappointingly slick. Like you, I prefer "honest" gardens. Your pictures are all superb. You have a great eye for texture and color. Love the Cirsium rivulare. Stunning rainy pictures :-) A quick guess regarding that Hosta that was eveywhere, is that it might be 'Paul's Glory', in case you were wondering. Thanks for the tour! 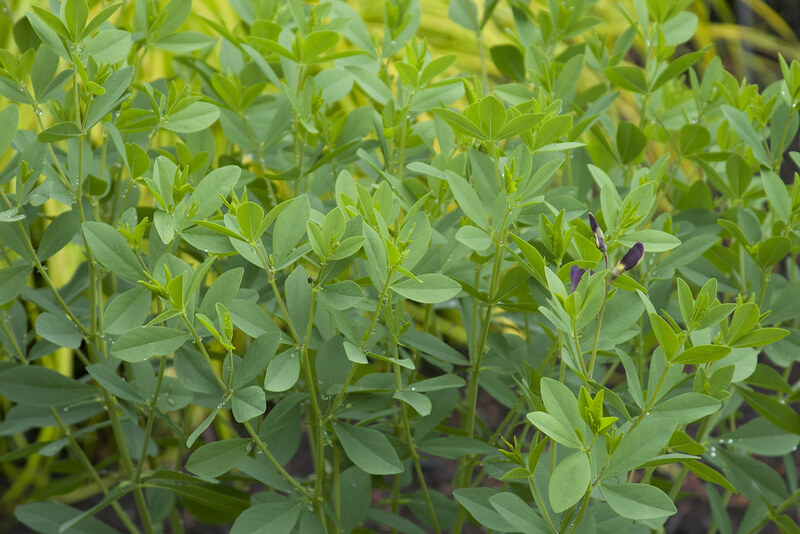 Winter Sowing Update - SUCCESS!